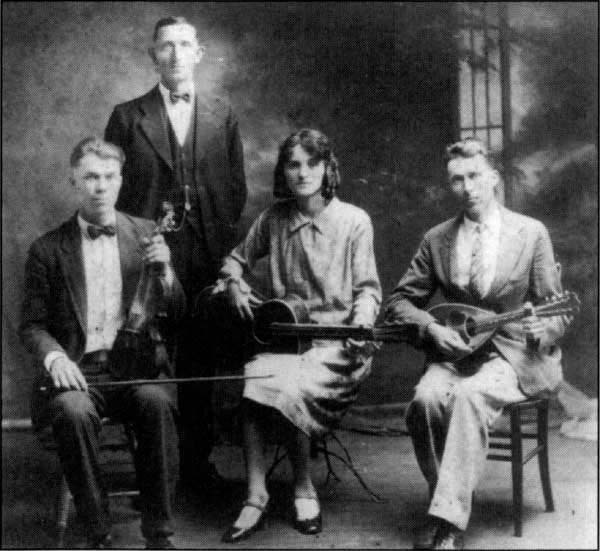 There are no lyrics in this song, just long, monotone cries that are actually far too subdued to be called “war whoops.” Those cries serve as drawn-out exclamation points punctuating the hypnotic playing of this Mississippi family string band. Led by Hoyt (mislabeled as “Floyd” on the record label) Ming on fiddle, they create a captivating loop. The record contains real energy as it is propelled forward by steady handclapping and some fine, low-tone strumming by Ming’s wife Roselle on guitar and his brother Troy on mandolin. Yet Ming’s vocals and high, thin fiddling is so captivating against the repetitive rhythm that one is lulled into a trance rather than moved to dance. Ming’s talent isn’t revealed through some flashy fiddling display, but rather by knowing just when to let a note linger and when to drop to a lower register. His vocals follow the same blueprint, with long, high wails followed by softer, lower moans. Ming may have titled this piece “Indian War Whoop,” but he created something otherworldly that defies labels. “Indian War Whoop” is an energetic up-tempo number. It features the sound of Rozelle Ming’s stomping feet (a sound that gave the Pep-Steppers their name). Rozelle had initially declined to stomp her feet during the recording session, fearing that the sound would get in the way of the music. Producer Ralph Peer is credited with insisting on the sound of stomping feet. In his notes, Smith points out that the sound of drumming feet is rare outside of religious music. This number is the second on the “Social Music” volume to feature the sound of the human voice. The voice likely belongs to Hoyt Ming, although the higher voice may be Rozelle’s. In his notes, Smith remarks that the title “Indian War Whoop” was not indicative of any Native American influence, but rather “Romanticism akin to that of ‘western’ movies.” Hoyt Ming’s fiddling is wild and (possibly deliberately) primitive. A version of “Indian War Whoop” was recorded by the late John Hartford for inclusion in the Coen Brother’s O Brother, Where Art Thou? The song is used in scene in which a mob is carrying off gangster George “Babyface” Nelson (Michael Badalucco). The roots of this classic American old-time music band are traced back to a fellow named James Menge who settled in James City County, VA, in 1650. This family spread to North and South Carolina by the next century, and somewhere along the line, somebody got the idea to change the family’s name to Ming. A Charles Ming settled in Mississippi in the 1840s. Charles Ming’s son, Clough, went to live in Choctaw County, where he gave birth to Hoyt Ming on October 6, 1902. More than half the kids in this family learned instruments. Hoyt Ming was inspired to pick up a fiddle at 15 after his father invited a string band over for a house party. 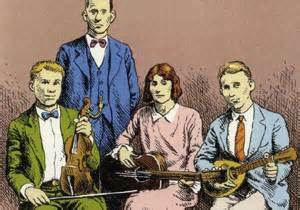 He picked up the instrument by ear with simple tunes such as “Shortnin’ Bread.” The Ming Family Band started playing at parties with their classic lineup of fiddle, guitar, and mandolin. Early in 1928, a Victor talent scout, Ralph Peer, showed up in Tupelo to audition local musicians, which Hoyt found out about while ogling the Victrolas at a local drug store. At this time, Hoyt was playing mostly with his wife, Rozelle, and sister-in-law. When the latter gal was not available for the audition, brother Troy filled in on mandolin, charming Peer enough to warrant a trip up to Memphis where he had a recording studio.